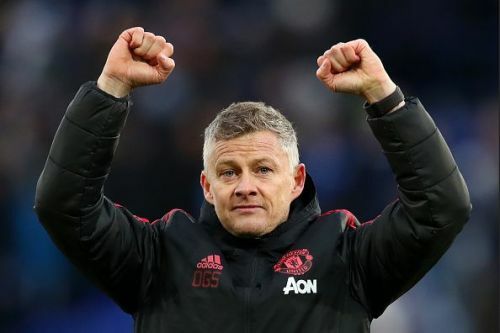 Manchester United continued their unbeaten run under new manager Ole Gunnar Solskjaer with a convincing 1-0 victory over Leicester City today. Though Solskjaer's 100% record was brought to an end in midweek, he led the Red Devils to a fifth consecutive away win, matching a win streak last achieved by Sir Alex Ferguson in 2012. Also, Marcus Rashford, who scored the winning goal in the match, became the second youngest player in the club's history to reach 100 Premier League appearances. Solskjaer had an amazing start to his career in England, winning his first six matches in charge of Manchester United. He became just the third manager in the history of the league to achieve the feat alongside Pep Guardiola and Carlo Ancelotti, who had started their Premier League careers with 6 back to back wins with Manchester City and Chelsea respectively. Since his Premier League debut for Manchester United in February 2016, Rashford has scored more goals in the competition (26) than any other player for the club. Manchester United returned to winning ways after last week's draw against Burnley. They beat Leicester City at the King Power Stadium thanks to an early opener from their number 10 Marcus Rashford. The team's win over the Foxes mean that Solskjaer has won 9 out of the 10 games in charge of the club, and he also matched Sir Alex Ferguson's win streak in the process. United last won five consecutive away games in the Ferguson era in the 2012-13 campaign, and now, they have done it again under the Norwegian. Rashford, who scored the only goal of the match, was playing his 100th Premier League match as a Red Devil. He became the second youngest player in the club's history to reach the milestone, only behind the legendary Ryan Giggs, who took 20 days fewer. With his ninth goal of the campaign, he became the joint top scorer for the club this season alongside midfielder Paul Pogba. Manchester United will face Fulham in their league fixture, before hosting Paris St. Germain in the first leg of UEFA Champions League Round of 16 fixture. Should Manchester United declare Ole Gunner Solskjaer as their permanent manager?